My key to summer survival is crafts! My kids always loved to do crafts. I would pick crafts that I knew peaked their interest and were easy enough for no major meltdowns. 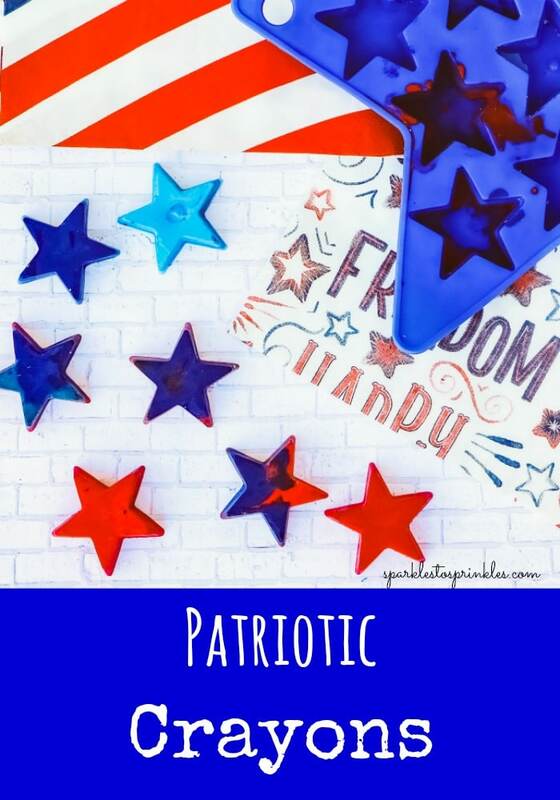 These Patriotic Crayons would be an adorable craft project for the kids during your Fourth of July party. Better yet have your kids make a whole bunch of these and pack them up in a cute cellophane bags and give them out as party favors. Lay your Silicone Star Molds out. I suggest placing them on a baking sheet so you can easily move the Molds to & from the oven with zero crayon spills. Now take your broken crayons and remove all the paper. Now for the fun part. Take your broken crayons and start placing them in the molds. To get a red & blue tie-dye effect, just toss the broken crayons in the molds randomly. To get solid colors, place similar shades of red and blue together in each star. 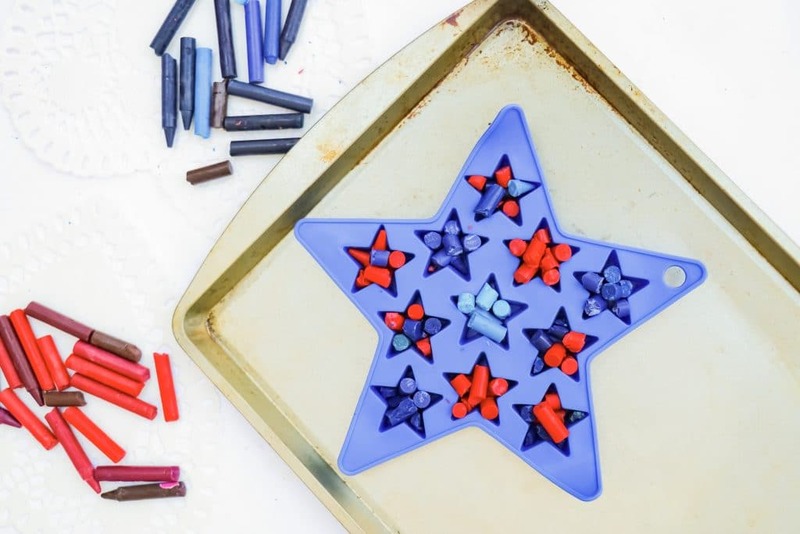 Once your Silicone Star Molds are filled with crayons, turn the oven to 250 degrees. Once heated, place the molds in the oven for about 10 minutes or until the crayons have fully melted. 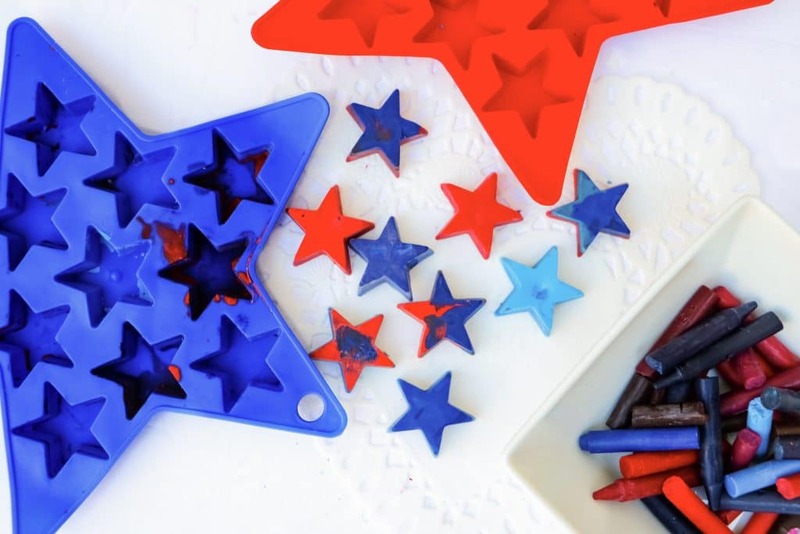 After your Patriotic Crayons are nice and melted, take them out of the oven and let them cool and return to a solid state. Once your Patriotic Crayons are solid, pop your Crayons out of the molds.